Thanks for Helping REACH Achieve their Goal! 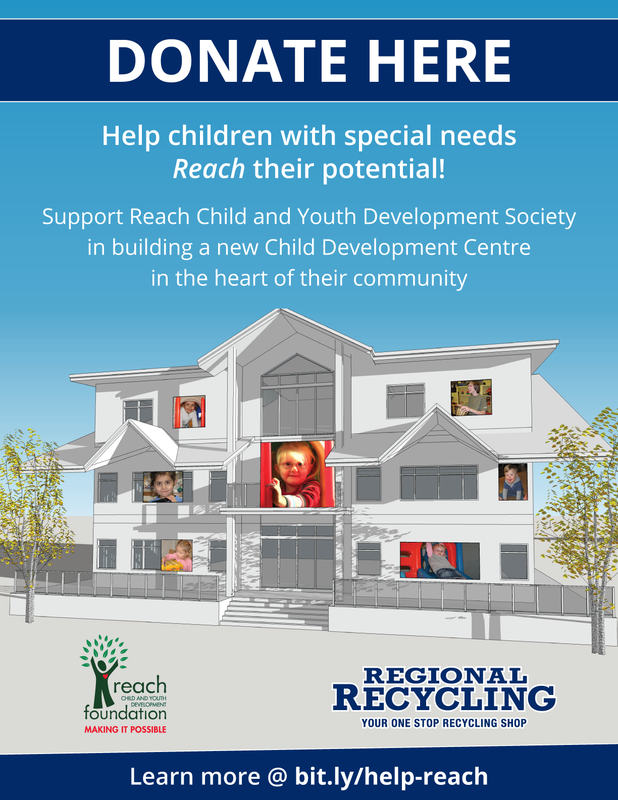 Regional Recycling congratulates the Reach Child and Youth Development Society on achieving their goal and opening their new building. The Lois E. Jackson Kinsmen Centre for Children (5050 47th Ave, Delta, BC.) is the result of many year’s labor to get a new building for Reach. The building doubles Reach’s capacity to help special needs children and creates a centralized location that is accessible by bus. 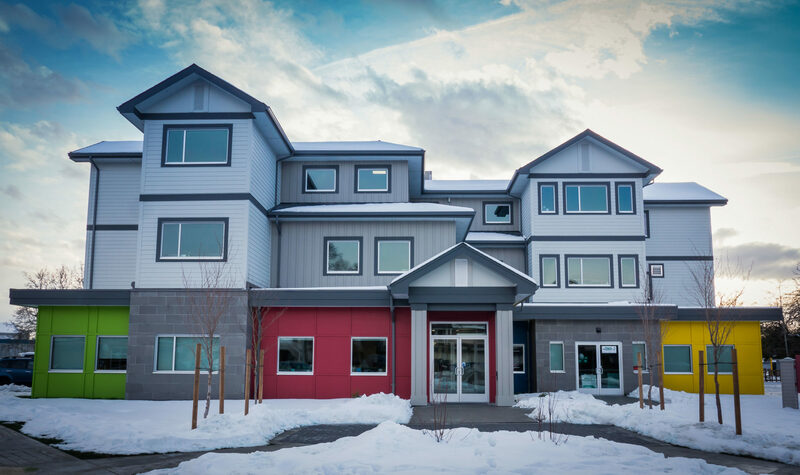 The facility includes four counseling rooms; three rooms for speech, language, and occupational therapy; one designated physical therapy room; an accessible playground and office space for Reach staff. The 2,000 square foot building cost $5.7 million of which $1 million was provided by the City of Delta. An additional $1.3 million of in-kind donations came from the city, and the rest was received through grants and donations from other organizations or individuals. Regional Recycling provided funding through its donation bins located in our 5 regional bottle depots. We matched the value of all donations collected and have provided over $15,000 to help REACH achieve their goal! Thank you to all of our clients who generously donated their bottle returns in support of this great cause. Please join us in congratulating Reach on achieving their goal, and on the opening of their new facility. Reach Child and Youth Development Society is a non-profit charitable society that provides services to special needs children and their families in Delta, Surrey and Langley B.C. They believe in the potential of every child, and know each child is unique. They work together with their families to recognize each child’s strengths and develop their abilities. Reach operates in a family-centered manner and is responsive to the needs of the children and families in the community. Reach believes it is essential the design and delivery of services be flexible in order to meet the changing needs of the children and their families. You can still donate your empty beverage containers to Reach at all of our lower mainland Regional Recycling locations.